If personal effects and junk has cluttered up your home to the point where you can’t see your surfaces any longer, then your spring clean is here to help. Below are some tips from Thistle DKI to add to your spring cleaning list to help make your clean a thorough one. Nobody likes moving furniture, that’s just a fact. However, simply sliding it around slightly during your spring clean isn’t going to perform the job thoroughly. Instead, this spring clean, move each of your large furniture items and appliances and thoroughly clean the space they were and around it. This is not only a great way to improve your clean, but it also provides homeowners with the opportunity to identify any damage, such as a leaking pipe behind a wall hidden with an entertainment unit. It doesn’t matter if have a fully-installed climate control system or portable air conditioning unit, these items need to receive your attention during a spring clean. Instead of simply wiping the vent, remove the covers and grills and, using your vacuum cleaner attachments, thoroughly remove all of the dust and debris, deep into your vents. If possible, a damp cloth can also be a great way to collect dust from these spaces, however, the technique depends on accessibility. Keeping your vents clean helps to improve the quality of air in your home and reduces allergies. 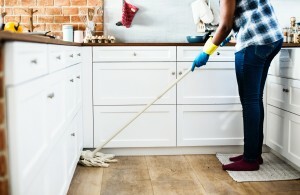 If you discover damage to your home during your spring clean, remember that it isn’t a DIY task and requires professional attendance and work. Speak with Thistle DKI at 702 871 8462 about the damage you discover and request their immediate attendance and assessment.